Colourful houses dot Les Îles de la Madeleine in the Magdalen Islands. Kayaking in wild waters at Francois, Newfoundland. 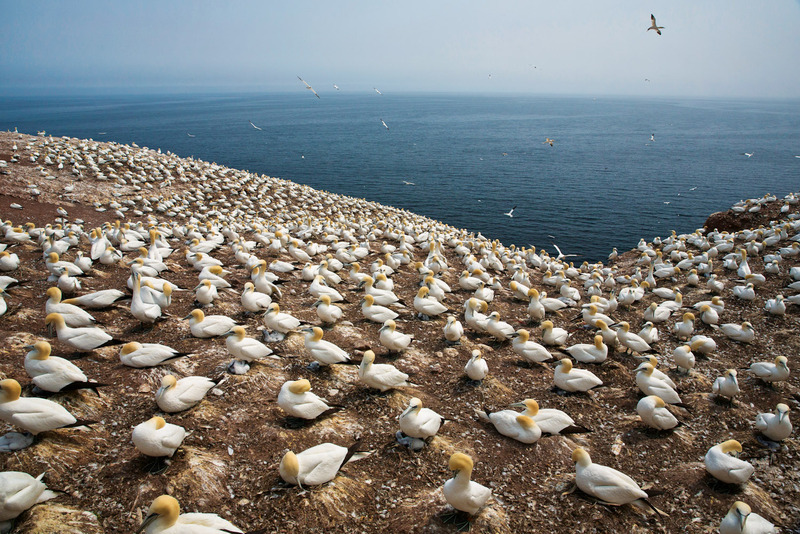 Northern gannets on Bonaventure Island. 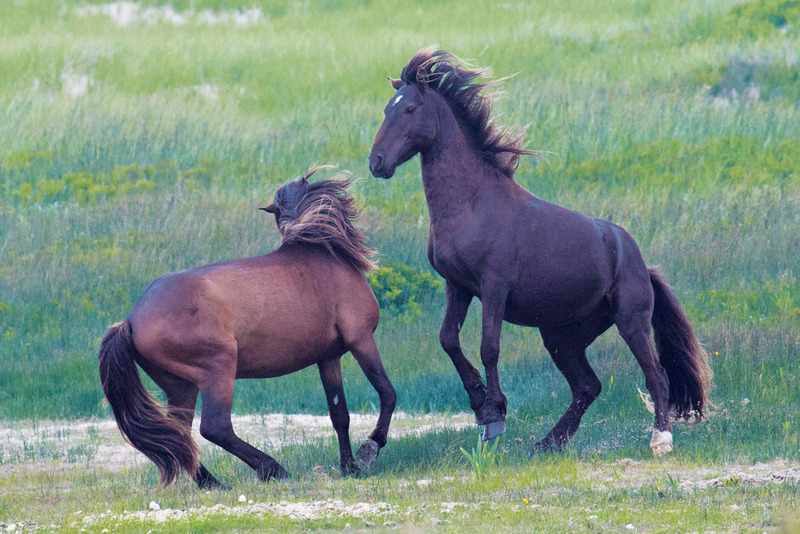 Wild horses frolick on Sable Island, Nova Scotia. A wild resident on Sable Island, Nova Scotia. 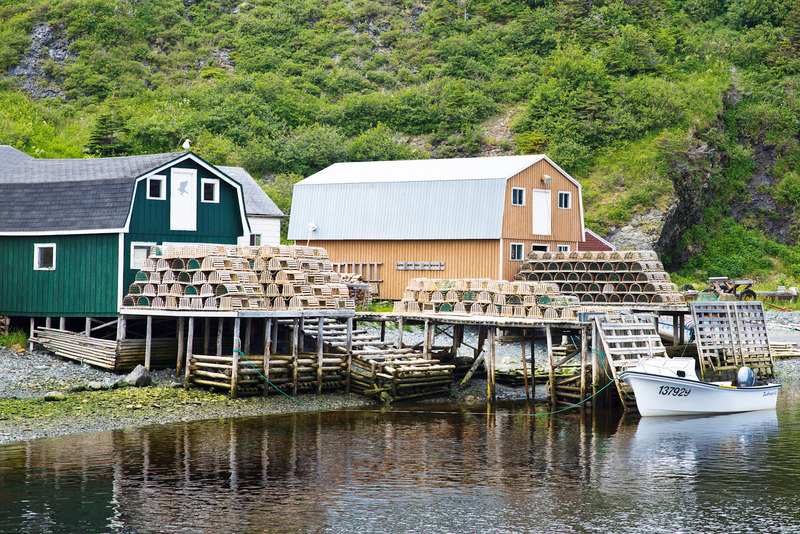 The fishing cove of Trout River, Newfoundland. A lighthouse at Gaspé, Quebec, near the village of Percé. 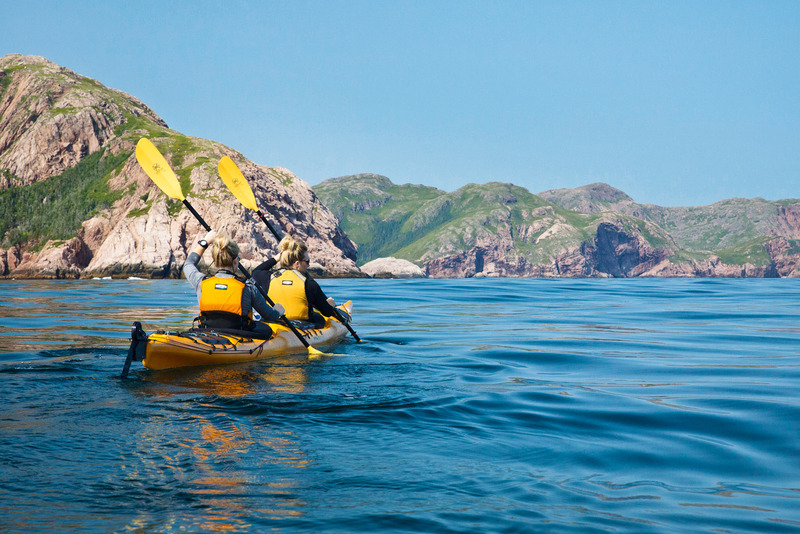 Just the ticket for adventurers, this expedition-style cruise island-hops around an untouched pocket of East Canada. Words Jocelyn Pride. Try not to tread on anything green,” says Jonathan Sheppard, the athletic looking park manager of Sable Island. “It fought hard to be here.” So have we. A wisp of sand surrounded by the Atlantic Ocean isn’t easy to get to. Notorious for swirling currents, battering winds and blanketing fog, this speck on a map, 175 kilometres from mainland Nova Scotia, is known as ‘the graveyard of the Atlantic’. More than 350 shipwrecks lay hidden in the shifting sand below us. Fortunately our passage to the first landing of 10 days’ island-hopping around Canada’s Maritime Provinces is smooth sailing. The silent and stable 98-berth Akademik Ioffe, a Russian flagged ice-breaker, is built for research in the polar regions. Leased to One Ocean Expeditions, a Canadian-based company, we have the best of both worlds – a Russian crew and North American and British expedition staff. 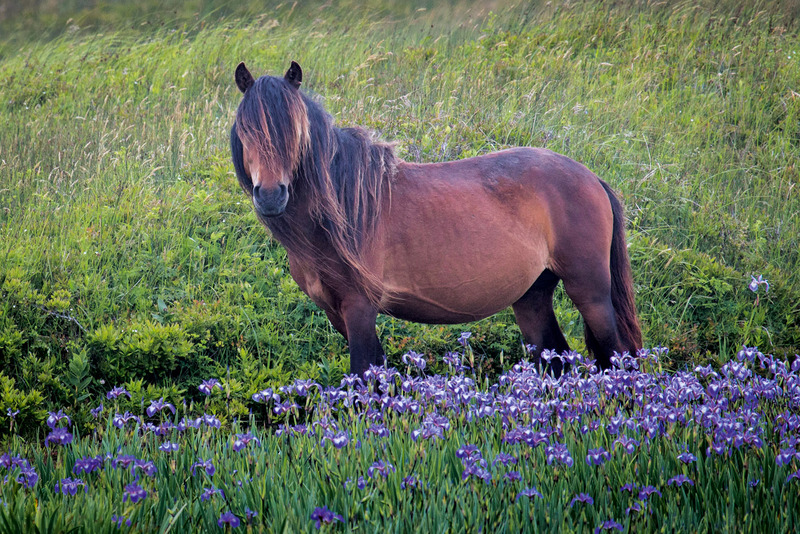 Sable Island is Canada’s newest national park. “Less people have walked here than Antarctica,” says Sheppard. Soft brown eyes look up at us as the bobbing heads of grey seals follow the Zodiacs to shore. “By January, this beach will be covered with seals and their pups, Sheppard explains. The clowns of the sea aren’t the only large mammals on the island. Wild horses (565 at last count) roam the 47-kilometre-long, 1.5-kilometre-wide desolate landscape. How they got here is the most asked question; there are many theories. The most romantic notion is the horses swam ashore from a shipwreck. However, the most likely is they were brought here along with sheep, cattle and pigs in the 18th century by wealthy Boston merchants, who never returned for them. The other animals didn’t survive life without shelter (there’s not one tree on the island), little feed and even less fresh water. We hike over the endless dunes to ‘Green Plains’, a known hang-out for the horses. A haze hangs in the air casting an eerie, silvery light. My boots fall silently on the powdery sand that feels heavy in places and sticky in others. My inner child wants to sit and build sandcastles or roll down the sides of the dunes sending up clouds of sand. But when a small fresh-water lake emerges like a mirage out of the vastness, I’m transfixed. Standing in the water surrounded by purple irises is a dark bay mare heavily in foal. Surprised but not startled she looks up, her long, tangled mane covering her eyes. The rest of her ‘band’ grazing nearby whinny and prance towards us tossing heads and flicking tails. The stallion (black, of course) snorts, paws the ground and eyes us cautiously. Curiosity satisfied, heads go back down to munch the dune grasses. For many on board including myself, Sable Island is a bucket-lister. Harvey, the former mayor of Louisbourg, where we embarked, is the sort of person we all want to be at 92: when he read of a new cruise itinerary that included Sable Island, he surprised his family with tickets as Christmas presents. “This is my backyard, I’ve grown up with the stories, but never imagined I’d see these places,” he says, his eyes misting over. Age is irrelevant: Caitlin, at 17 months, is the youngest on board and like the rest of her family is always smiling. Each day there’s either a change of scenery, of province, of language, and once even of country. Activities cover the range of fitness levels and interests. ‘This isn’t a cruise, it’s an expedition with a hot tub,’ is the mantra of the dynamic bunch of expedition leaders as they prepare us for each adventure. The toys (bikes, stand-up paddleboards and kayaks) are loaded via stroke of engineering genius onto Zodiacs and lowered into the water by crane. 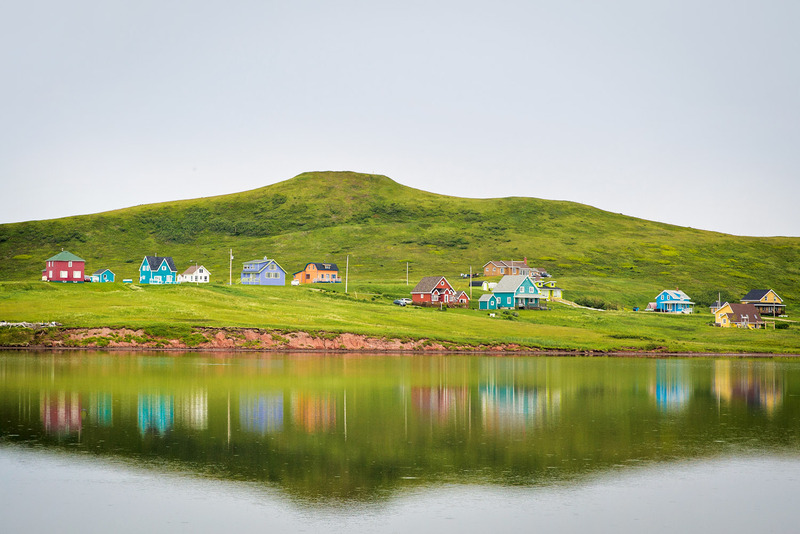 With such diversity in terrain, culture and wildlife, highlights are on tap: cycling the lanes through fishing villages dotted with bright coloured houses on Iles de la Madeleine (Québec); hiking through the pristine forest of Parc National Ile Bonaventure (Québec) to watch (and smell) a 100,000-strong colony of northern gannets nesting; setting foot on the Earth’s mantle in the UNESCO-listed Gros Morne National Park (Newfoundland), the best spot in the world to see plate tectonics in action; paddling along Rocher Percé (pierced rock) and the sheer red cliffs of the Gaspé Peninsula (Quebec). And then there’s the day we head to France. We enter French waters off the coast of Newfoundland and the crew hoist the tricolour onto the bow’s flagpole. Customs officers board the ship and collect our passports before we’re let loose in ‘France’. St Pierre et Miquelon is the last bastion of the once significant French occupation of this rich fishing region. Cobbled streets, the smell of bread baking, not a word of English within earshot and everyone I meet is called Jean Pierre – it’s the real thing. I pay for a pain au chocolat in Euros, play a game of boules with the locals and hope there’s a stamp in my passport. All very chic, but it’s actually the tiny fishing village of Francois (pronounced Fran-sway, population 80) a night’s sail away that steals my heart. Blink and you’d miss the entrance to the deep-cut fjord. We sail between the towering cliffs of granite with drifts of greenery hanging on by spindly threads and waterfalls thundering into pools of navy blue. The fjord is several kilometres long and as we edge closer to the end, painted houses are mirrored in the water. We stand on the deck, waving to the villagers. As soon as the ship anchors there’s a flurry of activity. Some people head off to hike the rugged mountains, others to potter around the village. With the water like glass, I opt to kayak. It’s a good choice. Our kayaks glide easily in water that’s more like a lake than the ocean. As we round the last bend of the fjord, there’s a sudden whoosh and the unmistakable spout of a humpback whale around 200 metres ahead. Keep the rhythm, one two, one two. “There’s another one behind us,” comes the excited call from Mark our expedition leader. Turning the kayaks like Olympians, we catch a glimpse of the ‘footprint’ of the whale as it submerges. We rest our paddles and float, hardly daring to breathe. Within seconds, it swims under my kayak creating nothing more than a ripple in the water but a tingle throughout my body. Its outline glistens in the water like an x-ray. Then, as quickly as it appeared it vanishes leaving only a precious memory in its wake. That night many of the villagers come on board for a barbecue dinner. We dine on local delicacies like oysters, lobster and halibut and slurp Tidal Bay white – the Nova Scotian appellation wine. It’s balmy and the sinking sun sets the cliffs alight with hues of pink, orange and red. The locals return the favour and we head to the Francois community hall for a ‘kitchen party’ and dance. We boogie, jig and share stories. Our lives may seem worlds apart, but we’re joined by one ocean. Even Harvey carves up the dance floor. Air Canada flies directly from Sydney (Australia) to Sydney (Cape Breton, Nova Scotia) via Vancouver and Toronto. One Ocean Expeditions provide transfers between Sydney to Louisbourg (30 minutes by road). 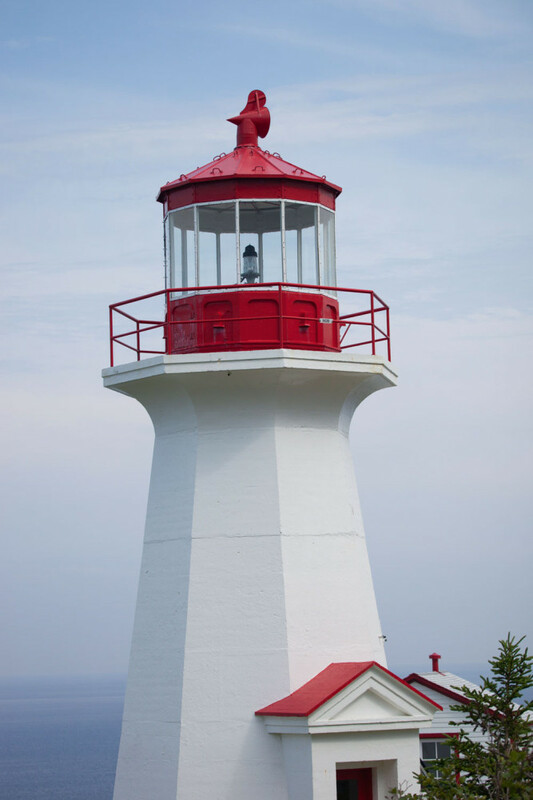 The next 10-day Canadian Maritime Provinces cruise departs July 2016. Prices start from $6865 per person, twin-share with private bathroom and includes all meals, excursions and activities. Get a grip on the battles between the Arcadians and British behind the fortified walls of Louisbourg Fortress, Cape Breton, a reconstruction of an 18th-century French town. The cruise sets sail from the fortress gates so arrive in Louisbourg a couple of days early. To understand the fascinating culture of the First Nations people, take a tour with Eskasoni Cultural Journeys to Goat Island. The two-kilometre forest trail immerses visitors into the traditional life of the Mi’kmaq through hands-on experiences. Read Shaped by the Sea by Lesley Choyce, a novel that delves into the fascinating history of the land and people of Nova Scotia. It covers shipwrecks, the impact of European colonisation on the Mi’kmaq people and French and British battles over the fishing industry. Watch The Shipping News. Filmed on location, this classic tale based on the Pulitzer Prize-winning book is a great insight into the people and rugged beauty of Newfoundland.